The jobless haven’t been jobless for the last few days, what with exams breathing down our backs it has been really difficult for us to pay as much attention as we would have liked to this issue. However thanks to my friend Pradeep Damodara, we were able to pull it off. He is responsible for most of the editing this time, one of the prime reasons some of us won’t be flunking our endsems. Anyway, here we are with LTGTR’s 7th issue, dedicated to travel. Considering that the holidays are fast approaching its more than apt that this be the underlying theme. Now getting down to the editorial… Well this time around I’ll let you explore the contents. It should be more than helpful in assisting you on your endeavor of reading the magazine. I’ll go ahead and dedicate the editorial to explaining our notion of travel. The mind is a wanderer, unable to linger on one thought or idea for more than a few moments. This fickle nature has manifested itself in our love for travel. 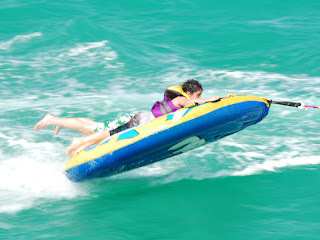 Travel has for eons been associated to adventure. Every epic adventure, be it real life or in literature, has been a journey through the wilderness to an uncertain destination. There is nothing strange about this considering that there can be no greater adventure than tramping through the unknown, the unseen. There is always the immense satisfaction of seeing new places and meeting new people that makes travel so alluring. But then what about people like me, who find it impossible to uproot themselves from their little niche? Well, one might say I’m a dull person by nature, incapable of heading out on a true adventure. But I will have to disagree on that, for I have seen Paris, London and, for that matter, ancient Greece… the power of human imagination is truly remarkable. I know my words seem vague and unclear, and I don’t really have the words to express myself. Here’s my suggestion: Read through ‘The Shadow Line’ by Amitav Ghosh. Then maybe you’ll understand what I’m trying to convey. Anyway, adios. 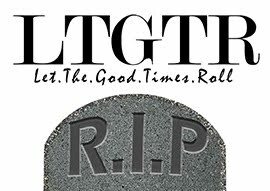 We hope you enjoy this issue of LTGTR. Cheers and Keep The Good Times Rolling.